As the new academic year begins here at University of Salford the grinding of gears can almost be heard on campus as green areas and buildings are being smartened up in anticipation of new and returning student cohorts. I’ve just come back to the grey and rainy North from a weekend spent camping at End of the Road festival, which has been one of the last reliably sunny outdoor music festivals of the season for the last ten English summers, but to balance the sadness at the thought of no more nights under canvas until next summer, the season for urban indoor-based events is picking up. In fact, autumn looks set to be the festival highlight of the year! Right now there’s a national month-long festival of independent and repertory cinema underway, thanks to the organisers of Scalarama, now in its fifth year and still growing. This year independent screening groups, film clubs and cinema enthusiasts in a number of cities formed festival sub-hubs to collectively co-ordinate their programme contributions. This has been a brilliant and (in Leeds) unprecedented way to bring a disparate group of film exhibitors with very different aims and practices around a table regularly to meet each other, start a dialogue and share knowledge. New partnerships and future plans have emerged from this process and as we look forward to Leeds International Film Festival in November, there is a sense that this year, when the festival closes, there will still be plenty going on in the city to sustain a truly independent film culture year-round. I’ve contributed two documentary films to the Scalarama programme this year. On Wednesday 16th September there’s another screening of the 2013 documantary Manakamana to raise money to send to a Nepal rebuilding project. The documentary, directed by Stephanie Spray, Pacho Velez, was made in the Manakamana temple area by a group of ethnographic filmmakers who are part of the Sensory Ethnography Lab at Harvard University. 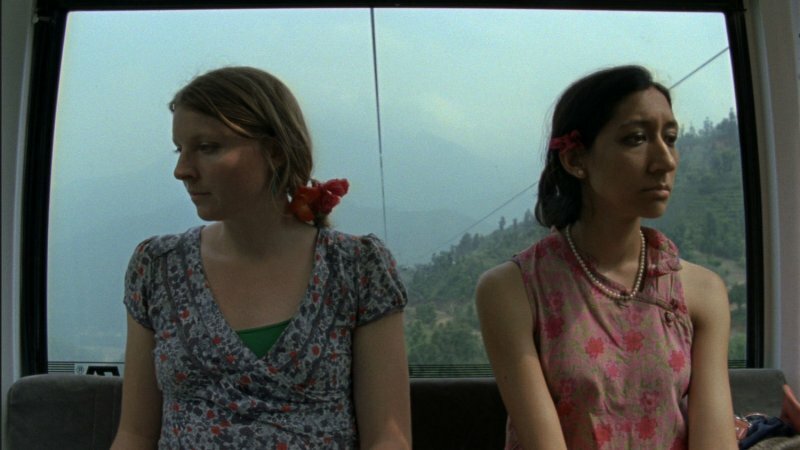 The work of this practice-as-research centre is characteristically immersive and this film is no exception: a 16mm camera was placed in a cable car that transports worshippers up and down a mountain to a remote temple. It is a journey that prior to the development of the cable car service took many days and the people caught in the intense gaze of the film reflect on this and other things during their journeys. The film makers set up a crowd funding campaign earlier this year to send assistance to the village where they were based during filming after the terrible earthquakes and with the help of the film’s UK distributor Dogwoof, some colleagues and I have been able to screen this film several times this year to send the door money to the film’s participant community via that fund. Then on Thursday 24th September I’m joining in with a simultaneous screening across 6 UK venues with two films that look closely at protest, direct action and freedom of speech in the UK. One is a short documentary by Nick Broomfield about six Greenpeace protesters who in 2008 were tried and acquitted for shutting down Kingsnorth power station in the UK, the other is Franny Armstrong’s film McLibel which is rarely screened but is a remarkable story about two protestors who were charged with libel by McDonalds after leafletting outside one of their shops, with surprising consequences. This second film is also part of the #directedbywomen strand within Scalarama this year, drawing attention to the achievements of women in film, while women are still under-represented in most areas of film making practice. The Radical Film Network have facilitated this second event and this group have been an important discovery during my PhD research that has helped me to put a critical frame of reference around a set cultural activities which I attempt to describe in my thesis as constitutive of a discursive public sphere. This is a lightweight, international network of film makers, exhibitors and academics which emerged from the Bristol Radical Film Festival (BRFF), it is the festival’s 4th edition this year, with all screenings taking place at the Arnolfini in October. The 2015 festival is formally very different to the last one. Last year the BRFF festival organisers set up some of their political film screenings in community centres, taking their message to areas beyond city’s usual centre of cultural consumption. This year the festival celebrates the 40th anniversary of The First Festival of British Independent Cinema, a landmark event in the history of alternative film in Britain, which was organised by the filmmaker, writer, curator and dramatist, David Hopkins (1940-2004) at the Arnolfini. The 1975 festival screened overtly political film alongside avant-garde and experimental work on 35mm and super-8mm formats. In true radical film tradition, a speaker from the festival will be at the screening to lead the discussions afterwards. Inspired by the work I have encountered in my research, I have been able to bring many events from the BRFF and other festivals to Leeds through my own events series and my connections with the Leeds International Film Festival (LIFF). This year there will be a programme exchange between LIFF and BRFF, they have suggested a rarely screened, collectively-made film from 1974 which puts into practice the tenets of feminist film theory, however the title can’t be revealed yet! The LIFF programme launch is on Light Night, Friday 9th October at Leeds Town Hall. A film festival event in November that I can announce is a collaboration with Dr. Emily Zobel Marshall, a researcher at Leeds Beckett University. We have placed a film screening simultaneously in both LIFF and the national Being Human festival of the humanities, all Being Human events are between12 and 22 November 2015. 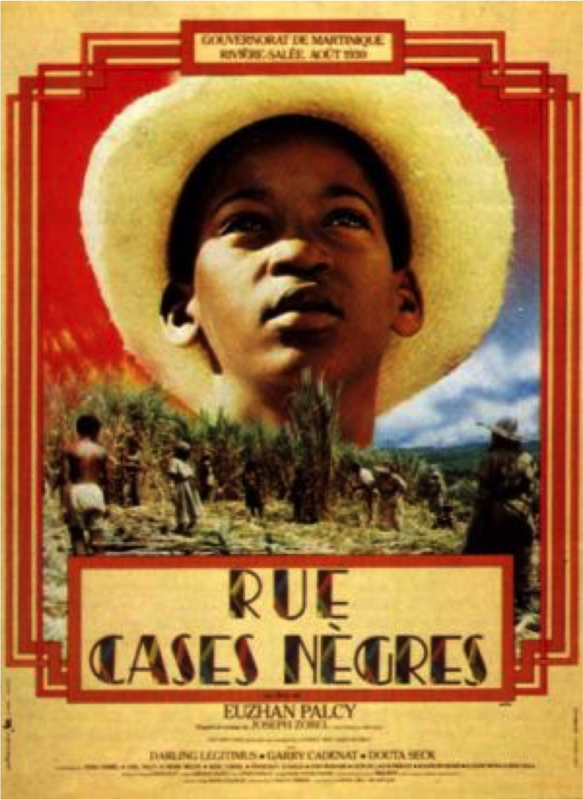 La Rue Cases-Nègres (Black Shack Alley) is the title of a book by well-known Martinican writer Joseph Zobel, the story was made into a film in 1983, directed by Euzhan Palcy. In the year of its release the film was awarded Silver Lion award at the 1983 Venice Film Festival and the director won a César Award for Best First Feature Film, making 25 year old Euzhan Palcy the first black female director of a Hollywood film. The film transports viewers to 1930s Martinique, an island under French colonial rule, when poor rural black children can hope for little more than a life of back-breaking working in the sugar cane fields, working for the wealthy white béké, or boss. Young Jose escapes this fate and gains an education through the many sacrifices of his extraordinary Grandmother. The film will be introduced by Joseph Zobel’s daughter, Jenny Zobel, and granddaughter, Emily Marshall, a researcher in literature and post-colonial studies who suggested the title to me. The screening and its contextualisation through the introduction and discussion will hopefully start a conversation about colonialism, oppression, resistance and the importance of education. The Being Human festival is one of a number of festivals organised by universities which I’ve become aware of through my research that are committed to showing the strength of humanities research and teaching at a time when the study of humanities subjects is being politically undermined. Manchester Metropolitan University’s Helen Malarky and Professor Berthold Schoene manage a ‘festival of the humanities’, held in Manchester, called Humanities in Public, which started in 2013 as a year-long public engagement initiative aiming to reach people with no experience of higher education but who may be interested in what higher education can offer. In this guest blog for the Being Human festival, they explain: “we didn’t want our public engagement efforts to be seen as a way of ‘saving’ the humanities. As far as we were concerned, the humanities did not need saving. They already had what it took.” They celebrate the work being done at MMU and want their staff to share it with the public. The HiP festival is made up of themes, each of which involves a short series of events ranging from evening talks, exhibitions and interdisciplinary seminars to off-campus activities such as city walks or tours of buildings, pub quizzes and film screenings. The university has developed many new cultural partnerships through this festival and researchers at Faculty of Humanities, Languages and Social Science have produced vast amounts of original work. The faculty recently took on the former Cornerhouse facilities nearby, where some of the events will be happening and it all kicks off next month. So with such a range of events I’m going to have plenty to keep me busy in the evenings, my days are now filled with writing writing writing as the three years of PhD are nearly up! I hope this post has given a flavour of the sorts of cultural events I’ve been studying and why they matter, now to make sense of everything I’ve encountered along the way.